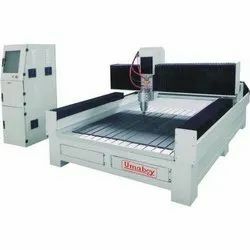 Pioneers in the industry, we offer ucr-1325a cnc router, ucr-1325d cnc router, ucr 1325c cnc router, ucr 1325b cnc router, ucr 1325s stone cutting cnc router and u-rex-1325 cnc machining centre from India. Widely Used For Engraving, Membrane Door Designing, Acrylic Craving, Decorative Panels, wavw Boards, Grill Boards Etc. 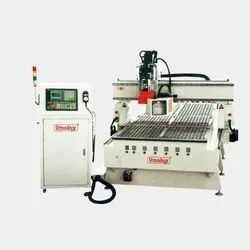 This CNC Router, configured with high quality spare parts, It can be used to engrave on plastic, acralic, composite panel, wood, MDF, alluminium, copper, etc., widely used in advertisinging and woodworkig industries. With hard steel structure,is fit for hard wood working, like cutting and engraving on rosewood, for furniture, indoor decoration. And with the vaccum holding way and dust collecter, the machine is qualified for mass-producing of furniture. We use top quality components for the machines, like HSD spindles, Delta inverters, Becker vacuum pump, Hiwin linear and so on, to keep the machine in the best condition even after many years working. It adopts ceramic bearing spindle, this spindle has high precision, long life time, low noise, small quiver, good parallel. The whole steel structure, well welded, no distortion for the whole structure. Adopt imported square orbit, double slippers. Bearing heavy, working steadily, high precision, and long lifetime. DSP controller system with USB interface, working without connecting with the computer during working and easy to control. Software: CAD / DAM designing software e.g. Type 3 / Artcam / Case Mate / Wentai etc. Vacuum Table with 6 vacuum zones, which can absorb different sizes materials. Options for vacuum pump: Vacuum pump made in China or No-oil vacuum pump made in Germany. Auto oiling system. Easy to operate by pressing one key. Adopt high-speed stepper motor and drivers, and two motors for the Y axis. Max speed is 35M/MIN. Auto Aligning System. Temperature Control System. Can prolong the lifetime of the spindle. Max. idling speed 30/m min. 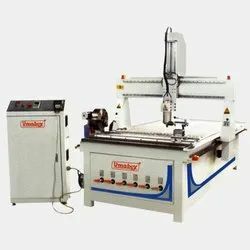 UCR-1325D CNC Router; these machines are made up using the high grade machinery and quality raw stuff. By the experience of years, we have gained success to make the most Innovative machine to meet with our customers Necessitates. These Routers Are Enclosed With The Separate Dust Collector Unit That Makes The Working Surface Free From Wooden Dust. Also Provided the Clamps That Helps to grip The Job Properly for Accurate Working. Moreover we have provided the rotary attachment that is useful to make the wooden pillar. Max. idling speed 40 m/min. Find the most accurate and rapid CNC Router, UCR 1325C CNC Router Manufactured by Umaboy. It is comprised with the high speed (up to 24000 r/min) 8 kw HSD Spindle motor. This router is dedicated for faster cabinetry. The existing products are well checked by our professionals before dispatch in order to provide the trouble free, durable and effective product to our valued clients. It also contains the separate dust collecting unit that accumulate the small wooden pieces and wooden dust from the working surface of the machine. Mainly utilize to make the designed doors, wooden panels with groove, various wooden frames and various furniture units. The CNC Router is the equipment that creates the substances from the wooden material. 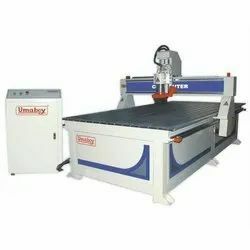 The Umaboy make UCR 1325B CNC Router is having the longer durability due to strongly welded steel structure and the rapid and high quality working capability that is the cause for the improvement in the productivity. It works on 3 –axis CNC formats and controlled by CAD program. It sustaining with more than one motor such as spindle motor that is having the speed up to 24000 r/min. It is the paramount equipment to get the carved artistic designs on wooden material. We are the leading and prominent Manufacturer of UCR 1325S Stone Cutting CNC Router . Umaboy engraving machine is welded with thicker square tube and is processed by high tempreture tempering treatment, good regidity and heavy loading. For any cnc marble carving router machine three axes adopt Taiwa Hiwin High precesion square guide rail, X and Y axes adopt rack and penion transmission, fast working, high efficiency and low cost, Z axis adopts Taiwan made TBI ball screw, with high precision and longevity. CAD/CAM designing software e.g. Type 3/Artcam/Castmate/Wentai etc. Has the function of re-carving after break point and power failure. Stone sculpture automatic machine has the function of forecasting process time. Adopting advanceed DSP system with USB interface, operated with the handle, convenient operation. 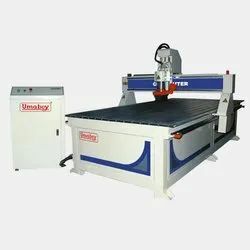 Our cnc marble carving router machines can completely work offline and do not take any computer resources. Stone carving statue machine has water tank and automatic water cooling system for cutters. We are the leading and prominent Manufacturer, Exporter and Wholesaler of U-REX-1325 CNC Machining Centre. U-REX is umaboy's new solution for nesting application. Latest technical solution, the extremely flexible work table and the innovative development of the loading and unloading system makes the 5 axes CNC a very reliable and competitive machine. We are the leading and prominent Manufacturer of UCR-1325 CNC Stone Cutting Machine. Umaboy engraving machine is welded with thicker square tube and is processed by high tempreture tempering treatment, good regidity and heavy loading. 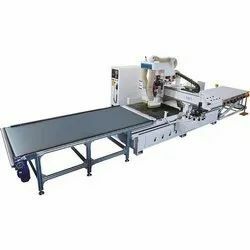 For any cnc marble carving router machine three axes adopt Taiwa Hiwin High precision square guide rail, X and Y axes adopt rack and penion transmission, fast working, high efficiency and low cost, Z axis adopts Taiwan made TBI ball screw, with high precision and longevity.